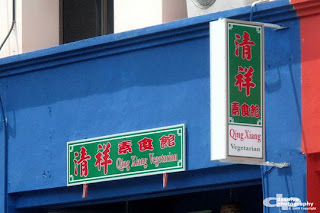 Here comes another option for fellow Vegetarians in Miri. Situated at the middle of boulevard commercial area which is a block and few shops after Maybank (refer to map), you get the chance to enjoy vegetarian dishes the different way. This is the first time i have ever tried pattaya fried rice in vegetarian style which i am happy with the taste and its serving i think is big for some. Do not be surprise if the price is a little higher then normal non vegetarian dishes. Reason is simple. Vegetarian products are mostly processed food which are normally higher in price and raw ingredients. 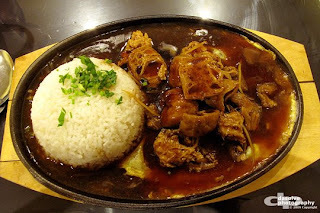 I have tried their hot plate rice. Although waited for quite a while but i think it is worth it in my opinion. 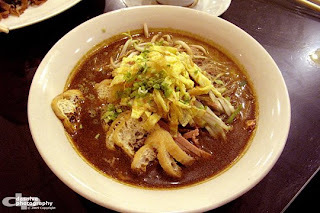 Other dishes like fried kueh tiaw and laksa are yet to be tasted by myself but usually there are a little inconsistency in taste which is unavoidable. 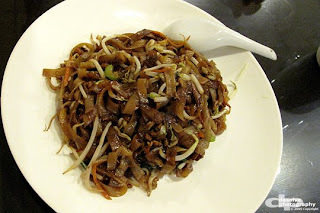 Normal dishes like dry bee hoon is served as well and the portion, i think it is a lot in comparision to many places. My verdict, worth a dine over there, if only you do not mind no real meat served. 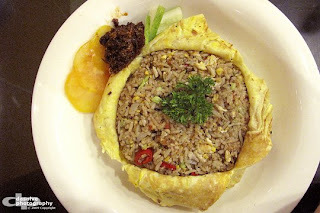 that last shot looks like Nasi Goreng Pattaya. service is poor... even there in only few customers in there, no one bother to ask us if we wanted drinks. wahahah...one day,i went ther wif my fren but dy closed..but we dunno...n jz went in...we jz felt d situation guai guai de...nobody hiu us..someworkers were napping oso.. at last we jz knw closed le...== gek dao. i had try couple time for dinner at this restaurant, the food there was nice & healthy too! food not so oily at all! very good! Environment there also very nice too! i like there, i might come back there sometime! Give it a try there! u wont regretted tht wat food u r paying for! really nice!